As well as changing the appearance of the Plus Fitness #7 Altima, Nissan Motorsport will also be taking the pink theme to their other three Supercars with the support of their other major sponsors, Harvey Norman and Castrol. In Addition, drivers Kelly and De Silvestro will wear a unique, pink influenced BCNA race suit that will be auctioned off at the end of the Newcastle race weekend to raise money for the charity. This year, BCNA celebrates 20 years of supporting Australians affected by breast cancer. The non-for-profit organisation aims to ensure that everyone with the disease receives the best support, information, treatment and care appropriate to their needs. It is estimated that in 2018, 18,087 Australian women will be diagnosed with breast cancer or approximately 49 each day. Approximately 28 percent of new cancers diagnosed in women in 2017 were breast cancer. Care to donate now? 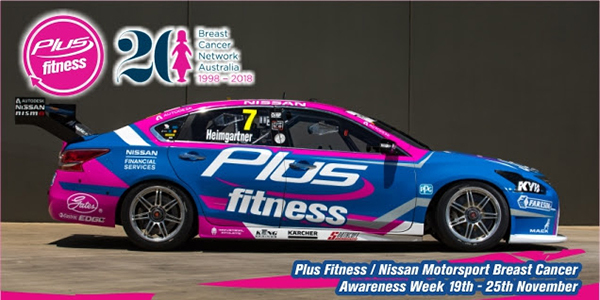 Click the donate button above to support the Breast Cancer Network Australia as part of the ‘Plus Fitness/Nissan Motorsport Breast Cancer Awareness Week’. 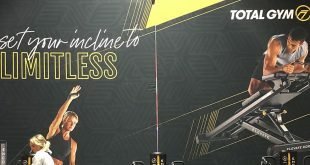 Plus Fitness have over 200 convenient locations across Australia n New Zealand. 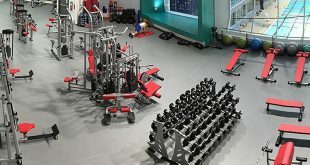 The award winning Plus Fitness Franchise Model offers low staffing in a fast growing and sustainable industry. Enquire below.